We all know about student loans in the US topping $1 trillion, above credit card debt. But the UK revealed its own problems this week and it's not good news. The student loan book is a rapidly inflating bubble with the total value of outstanding loans set to quadruple from the current £46 billion to £200 billion (at today’s prices) in less than 30 years. To be absolutely clear, over a third (35%) of new loans are not expected to be repaid and around 50% not to be repaid in full. Although nobody knows for sure and the problem is likely to get worse, not better. In the short term, over the term of the next parliament the Government expects there to be a £3 billion shortfall between what was expected in repayments and what will actually be collected. Year on year BIS over-forecasts how much student loans it will collect. This has led to huge, forecast, budget problems. Worse, still they have no idea what has happened to hundreds of thousands of students, write only cursory letters to find out and regard chasing the debts as a waste of time. The amount that has been written off has risen by 25% over the last three years. But before blaming BIS we have to reflect on the impossible task they face. There’s every incentive for students to ‘disappear’ and make every effort to go under the radar. This, in itself, may destroy one of the rationales for getting a degree – the ability to contribute openly and constructively to society. We may also be inflating another debt bubble, as student loans will not be included in mortgage risk calculations (in fact they will) exacerbating the debt problem. So this policy suffers from the law of both expected and unexpected consequences. All the signs are that this is getting worse, not better, and that we are burying our heads in the sand when it comes to solutions. PwC attribute a sharp 4% rise in unsecured lending of £8.6 billion to £216 billion in 2013, almost entirely to student loans. The UK is among one of the most indebted nations on earth, with over £8000 of debt per household. The danger comes with interest rate rises and the dampening effect debt has on getting mortgages, starting a business and so on. I thank Seb Schmoller for pointing out the excellent lecture by Bahram Bekhradnia, where an additional worrying consequence is outlined, that of increased CPI and therefore increased cost to the public purse on pensions and other benefits of around £1 billion due to the increase in student fees. This is a curious double pump effect on the debt bubble, where increasing student debt, increases public spending. This may be unpopular, but I believe in student fees, as alternatives effectively regressive taxes. It also establishes a direct link between what you get and what you pay for. However, this system would be a lot cheaper then the current system, if fees were paid up front, with generous means testing and bursaries. We’re heading for trouble by offsetting debt into the future. Now that the digital genie is out of the educational bottle, how will educational institutions react? Things are evolving fast but as Gibson said, the future is already here, it’s just not evenly distributed. However, the future is certainly starting to take shape. In a fascinating article in Inside Higher Ed, Anat Agarwal, the President of EdX said something remarkable while keynoting at the Sloane Conference on Online Learning. He started with an odd description of EdX as the ‘particle accelerator of learning’. Sound hyperbolic? Maybe not, as MOOC learners are heading way beyond 5 million and beyond. Even more interesting was MITs report Institutional Task-Force on the the Future of MIT Education, where EdX as a key component in its strategy. In a remarkable strategic move MIT is looking at “unbundling education and blurring boundaries”. Their published report points towards “blended learning” with EdX as part of MITs mainstream, student experience, not just an external, online adjunct. Agarwal wants to redesign undergraduate courses along blended lines, with less on-campus attendance, more online courses and blending into the workplace. It is clear that MOOCs, and EdX in particular, will to a degree, reshape MITs education. But it may also shape the MOOCosphere beyond MIT. The University for industry (Ufi), of which I am a Trustee, has funded a Maths MOOC. We looked at Udacity (literally flew out to see them) but put our money on Google and EdX, with CogBooks giving us an extra pedagogic turbo-charge. This looks, for the moment, like a good bet, as we’re backing a horse that is open source and promises, fort all the reasons above, to be a major MOOC player. But will it be THE player? 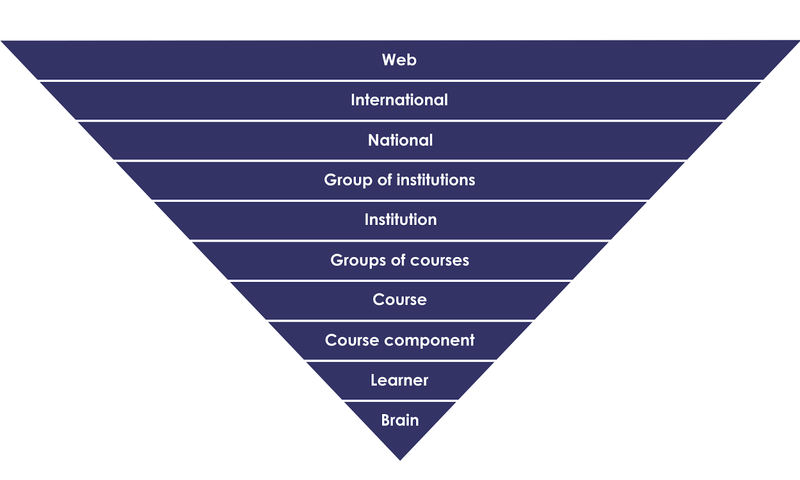 On the MOOC chessboard, EdX and Coursera and have emerged as the King and Queen. EdX has the stature and advantages as stated above, Coursera already has the ability to sprint across the board and make big, bold moves. Udacity is a rook that has moved sideways into the corporate sphere. Others, such as Futurelearn, are new knights, navigating their way erratically forward but without the big money and reach. Then there’s the pawns, lots of little outfits moving forward, at different rates. But remember one thing about a pawn – it has the ability to turn into a Queen and destroy the opposition. Educators nod sagely at the mention of ‘social constructivism’ confirming the current orthodoxy in learning theory. To be honest, I’m not even sure that social constructivism is an actual theory, in the sense that it is verified, studied, understood and used as a deep, theoretical platform for action. For most, I sense, it is a simple belief that learning is, well, ‘social’ and ‘constructed’. As collaborative learning is a la mode, the social bit is accepted without much reflection, despite its obvious flaws. Constructivism is trickier but appeals to those with a learner-centric disposition, who have a mental picture of ideas being built in the mind. Let me say that I am not, and never have been, a social constructivist. My disbelief in social constructivism comes from an examination of the theoretical roots of the social portion of the theory, in Rousseau, Marx, and Marxists such as Gramsci and Althusser, as well as critiques of learning theorists Piaget, Vygotsky and Bruner. More specifically, I believe it is inefficient, socially inhibiting, harmful to some types of learners and blocks better theory and practice. Finally, I’ve seen it result in some catastrophically utopian failures, namely Sugata Mitra’s ‘hole-in-the-wall’ project and Negroponte’s Ethiopian farrago. With Rousseau, we had the rebalancing of learning theory towards the learner, which was good but it may have led to an extreme reliance on naturalism and intrinsic motivation that is hard to apply in the real world. David Hume wrote, “He is plainly mad, after having long been maddish”, and although Rousseau's legacy has been profound, it is problematic. Having encouraged the idea of romantic naturalism and the idea of the noble and good child, that merely needs to be nurtured in the right way through discovery learning, he perhaps paints an over-romantic picture of education as natural development. 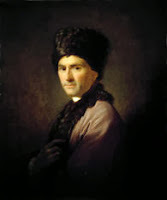 The Rousseau legacy is the idea that all of our educational ills come from the domineering effect of society and its institutional approach to educational development. If we are allowed to develop naturally, he claims, all will be well. This may be an over-optimistic view of human nature and development, and although not without truth, lacks psychological depth. Emile, as Althusser claimed, now reads like a fictional utopia. 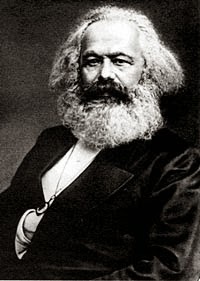 Although Karl Marx wrote little on educational theory, his influence on learning theory and practice has been profound. In The Communist manifesto Marx states that education has a ‘social’ context, which is both direct and indirect, ‘And your education! Is not that also social, and determined by the social conditions under which you educate, by the intervention direct or indirect, of society’. It was this idea that underpinned the entire communist world’s view of learning in the 20th century, especially through Marxist theorists such as Gramsci and Althusser. In Soviet Russia and its satellite states education was remoulded around political aims and when the Cultural Revolution in China between 1949 and 1966 was unleashed, it had devastating consequences, the nadir coming with Pol Pot and the complete eradication of teachers and schools. Interestingly, when it came to re-education, Marxists states reverted to direct, didactic instruction. To this day Marxism, to a degree, persists in educational and learning theory, most notably in Gramsci, Althusser and the ‘social’ constructivism of Piaget, Vygotsky and Bruner. Jean Piaget claimed that cognitive development proceeds in four genetically determined stages, and that they always follow the same order. This theory of child development, he called ‘genetic epistemology’, and it saw the minds of children as very different from those of adults. Importantly, this perception must be taken into account in teaching and learning. Big problem – he got it mostly wrong. His famous four ‘ages and stages’ developmental model has been fairly well demolished. How did he get it so wrong? Well, like Freud, he was no scientist. First, he used his own three children (or others from wealthy, professional families) and not objective or multiple observers to eliminate observational bias. Second, he often repeated a statement if the child’s answer did not conform to his experimental expectation. Third, the data and analysis lacked rigour, making most of his supposed studies next to useless. So, he led children towards the answers he wanted, didn’t isolate the tested variables, used his own children, and was extremely vague on his concepts. What's worrying is the fact that this Piagean view of child development, based on 'ages and stages' is still widely believed, despite being wrong. This leads to misguided teaching methods. Education and training is still soaked in this dated theory. However, on the whole, his sensitivity to age and cognitive development did lead to a more measured and appropriate use of educational techniques that matched the true cognitive capabilities of children. Lev Vygotsky, the Russian psychologist, was as influential as any living educational psychologist. In 'Thought and Language' and 'Mind in Society', along with several other texts, he presents a psychology rooted in Marxist social theory and dialectical materialism. Development is a result two phenomena and their interaction, the ‘natural’ and the ‘social’, a sort of early nature and nurture theory. Ultimately the strength of Vygotsky’s learning theory stands or falls on his social constructivism, the idea that learning is fundamentally a socially mediated and constructed activity. This is a detailed recasting of Marxist theory of social consciousness applied to education. Psychology becomes sociology as all psychological phenomena are seen as social constructs. Mediation is the cardinal idea in his psychology of education, that knowledge is constructed through mediation, yet it is not entirely clear what mediation entails and what he means by the ‘tools’ that we use in mediation. In many contexts, it simply seems like a synonym for discussion between teacher and learner. However he does focus on being aware of the learner’s needs, so that they can ‘construct’ their own learning experience and changes the focus of teaching towards guidance and facilitation, as learners are not so much ‘educated’ by teachers as helped to construct their own learning. In particular, it was his focus on the role of language, and the way it shapes our learning and thought, that defined his social psychology and learning theory. Behaviour is shaped by the context of a culture and schools reflect that culture. He goes further driving social influence right down to the level of interpersonal interactions. Then even further, as these interpersonal interactions mediate the development of children’s higher mental functions, such as thinking, reasoning, problem solving, memory, and language. Here he took larger dialectical themes and applied them to interpersonal communication and learning. However, Vygotsky has a pre-Chomsky view of language, where language is acquired entirely from others in a social context. We now know that this is wrong, and that we are, to a degree, hard-wired for the acquisition of language. Much of his observations on how language is acquired and shapes thought is therefore out of date. The role, for example, of ‘inner speech’ in language and thought development is of little real relevance in modern psycholinguistics. He prescribes a method of instruction that keeps the learner in the Zone of Proximal Development (ZPD), an idea that was neither original to him nor even fully developed in his work. The ZPD is the difference between what the learner knows and what the learner is capable of knowing or doing with mediated assistance. To progress, one must interact with peers who are ahead of the game through social interaction, a dialectical process between learner and peer. Bruner though the concept was contradictory in that you don’t know what don’t yet know. And if it simply means not pushing learners too far through complexity or cognitive overload, then the observation, or concept, seems rather obvious. One could even conclude that Vygotsky’s conclusion about mediation through teaching is false. Teaching, or peer mediation, is not a necessary condition for learning. A great deal is made of social performance being ahead of individual performance in the ZPD but there is no real evidence that this is the case. Bruner, as stated, was to point out the weakness of this idea and replace it with the concept of ‘scaffolding’. The oft-quoted, rarely read Vygotsky appeals to those who see instruction, and teaching, as a necessary condition for learning and sociologists who see social phenomena as the primary determinant factor in learning. As a pre-Chomsky linguist, his theories of language are dated and much of his thought is rooted in now discredited dialectical materialism. For Vygotsky, psychology becomes sociology as all psychological phenomena are seen as social constructs, so he is firmly in the Marxist tradition of learning theory. One could conclude by saying that Vygostsky has become ‘fashionable’ but not as relevant as his reputation would suggest. The resurrection of Vygotsky has led to strong beliefs and practices around the role of the teachers and collaborative learning and the belief that social context lies at the heart of educational problems. Here, it is clear that Marxist ‘class consciousness’ is replaced by ‘social consciousness’. We no longer have Marxist ideology shaping education, but we do have the ideas dressed up in sociology and social psychology. Critics of social constructivism are rarely heard but the most damning criticism, evidenced by Merill (1997) and many others since, criticise social negotiation as a form of learning, as it quite simply wastes huge amounts of time to achieve collaborative and consensual understanding of what is taken by many to be right in the first place. This leads to massive inefficiencies in learning. Many, if not most, subjects have a body of agreed knowledge and practice that needs to be taught without the inefficiencies of social negotiation. This is not incompatible with an epistemology that sees all knowledge as corrigible, just a recognition, that in education, you need to know things in order to critically appraise them or move towards higher orders of learning and understanding. In addition, social constructivism largely ignores objective measures, such as genetically determined facets of personality, it is often destructive for introverts, as they don’t relish the social pressure. Similarly, for extroverts, who perhaps relish the social contact too much, social learning can disrupt progress for not only for themselves but others. Constructivist theory, even if correct, accelerates learning in the privileged and decelerates learning in the less privileged. Those with good digital literacy, literacy, numeracy and other skills will have the social support, especially at home, to progress in more self-organised environments. Those with less sophisticated social contexts will not have that social support and be abandoned to their fate. This, I believe, is not uncommon in schools. The truth is that much learning, especially in young people, needs to be directed and supported. Deliberate practice, for example, is something well researched but rarely put into practice in our schools and Universities. In fact it is studiously ignored. Much of what we learn in life we learn on our own. At school, I enjoyed homework more than lessons, as I could write essays and study on my own terms. At University I learned almost everything in the quiet of my own room and the library. In corporate life, I relished the opportunity to learn on trains and planes, havens of forced isolation, peace and quiet. To this day I blog a lot and enjoy periods of intense research, reading and writing. It is not that I’ve learned everything in these contexts, only that they go against the idea that all learning needs to be social. Social constructivism, is what Popper would call a ‘universal theory’, in that no matter what criticisms you may throw at it, the response will be that even these criticisms and everything we say and do is a social construct. This is a serious philosophical position and can be defended but only at great cost, the rejection of many other well-established scientific and evidence-based theories. You literally throw the baby, bath water and the bath out, all at the same time. Out goes a great deal of useful linguistic, psychological and learning theory. Out goes any sense of what may be sound knowledge and quick straightforward results. Direct instruction, drill and practice, reinforcement, deliberate practice, memory theory and many other theories and practices are all diminished in stature, even reviled. Sugata Mitra and Nicholas Negroponte have taken social constuctivism to such extremes that they simply parachute shiny objects into foreign cultures and rely on self-organised social behaviour to result in learning. It doesn’t. The hole-in-the-wall experiments did not work and Negroponte’s claims on his Ethiopian experiment are quite simply untruthful. The problem here is the slide from social constructivist beliefs to hopelessly utopian solutions. As Mark Warschauer reports “no studies have reported any measurable increase in student performance outcomes in reading, writing, language, science or math through participation in an OLPC program”. I often ask what people who mention social contsructivism, what it emans to them, and almost universally get vague answers. I then ask for names, and often Vygotsky is mentioned. I then ask what Vygotsky texts they have read. At this point there's often a blank stare - they can rarely mention a title. My point is that social constructivism is itself a social construct, often just a phrase, certainly often a piece of groupthink, rarely thought through. It gets perpetuated in teacher training and many other contentxs as a universal truth - which it is not. It is a theory that on first hearing, flatters teachers as the primary 'mediators' in learning. In other words, it is a function of confirmation bias. Why am I NOT a social constructivist – ALL OF THE ABOVE. To measure attendees, or bums on seats, is to measure the wrong end of the learner. Yet this is what so much ‘contact time’ is in our colleges and universities. I once attended a talk by the Head of Training for a global bank, where she proudly showed that x number of meals had been served in her canteen on the training campus. And they wonder why banks failed? Contact time is essentially an excuse for not measuring what is learnt. Turning up is hardly a measure of learning. Attendance is not attainment. In some cases the contact time is even more illusory, as in Higher Education in the UK they do not even count the number of students that turn up for lectures. Completion is not a measurement of attainment or competence, yet so many courses measure simply this. We have already seen how turning up is not a great measure but this is so often simply a measure of how many people just hung about until the end. The problem with final test and exam data is that it’s all too late. The deed is done. Exams are too often the final act in learning and an end-point. As Professor Black has shown, this final mark so often stops even the best learners from trying any harder and marks the poorer students out as failures. There’s also the problem of cramming and short-term memory. The evaluation of education and training is plagued with end-point data. None more futile than the obsession with happy sheets, as they measure nothing. It’s a staple of classroom courses and often the only data that is collected. Yet it says nothing about what has actually been learnt. Even in online learning SCORM was really just a package and delivery tracking mechanism for LMS vendors, build on the false premise of learning objects and although it provided a ‘standard’ for interoperability, it largely measured simple inputs and outputs. What’s so often missing is the data on competence. We teach what is easy to test and test what is easy to teach. That means lots of academic knowledge which is tested through paper tests, from multiple choice to essays. The actual competence measured is often just the ability to cram and remember data to pass tests, quickly forgotten. Most data collection in education and training skates over the surface with data about superficial attendance, end-point assessment and opinion. What’s missing is hard data on actual performance, competences and retained knowledge. What really matters is data collected from learners as they learn. This is when data really is needed so that we can help learners succeed. So much data focuses on the deficit model in education – failure, drop-outs. Big Data, at all sorts oflevels in learning, reveals secrets we never imagined we could discover. It reveals things to you the user, searcher, buyer and learner. It also reveals thing about you to the seller, ad vendors, tech giants and educational institutions. Big data is now big business, where megabytes mean megabucks. Given that less 2% of all information is now non-digital, it is clear where the data mining will unearth its treasure- online. As we do more online, searching, buying, selling, communicating, dating, banking, socializing and learning, we create more and more data that provides fuel for algorithms that improve with big numbers. The more you feed these algorithms the more useful they become. Among the fascinating examples, is Google’s success with big data in their translation service, where a trillion word data-set provides the feed for translations between over a dozen languages. Amazon’s recommendation engine looks at what you bought, what you didn’t buy, how long you looked at things and what books are bought together. This big data driven engine accounts for a third of all Amazon sales. With Netflix, their recommendation engine accounts for an astonishing three quarters of all new orders. Target, the US retailer, know (creepily) when someone is pregnant without the mother-to-be telling them. This led to an irate father threatening legal action when his daughter received a mail voucher for baby clothes. He returned a few days later, sheepishly apologizing! Why is Big Data such a big deal in learning? Online learning, by definition, is data, it can also produce data. This is one of the great advantages of being online, that it is a two-way form of communication. For many years data has been gathered and used in online learning. De facto standards even emerged making this data interoperable, namely SCORM and now TinCan. However, something new has happened, the awareness that the data produced by online learning is much more powerful than we ever imagined. It can be gathered and used to solve all sorts of difficult problems in learning, problems that have plagued education and training – formative assessment, drop-out, course improvement, productivity, cost reduction and so on. So how relevant is big data to learning? We need to start with an admission, that big data in learning is really just ‘Large data’. We’re not dealing with the unimaginable amounts of relevant data that Google bring to bear when you search or translate. The datasets we’re talking about come from individual learners, courses, individual institutions and sometimes, but rarely from groups of institutions, national tests and examinations and rarer still, from international tests or large complexes of institutions. We’ve seen the commercial launch of some primitive toys using brain sensors (see my previous post) but we’ve yet to see brain and situation really hit the world of learning. Learning is wholly about changing the brain, so one would expect, at some time, for brain research to accelerate learning through cheap, consumer brain and body based technology. S Korea is developing software and hardware that may profoundly change the way we learn. With the development of an ’emotional sensor set’ that measures EEG, EKG and, in total, 7 kinds of biosignals, along with a situational sensor set that measures temperature, acceleration, Gyro and GPS, they want to literally read our brains and bodies to accelerate learning. There are problems with this approach as it’s not yet clear that the EEG and other brain data, gathered by sensors measure much more than ‘cognitive noise’ and general increases in attention or stress, and how do we causally relate these physiological states to learning, other than the simple reduction of stress. The measures are like simple temperature gauges that go up and down. However, the promise is that a combination of these variables does the job. This is perhaps the most fruitful type of data as it is the foundation for both learners and teachers to improve the speed and efficacy of learning. At the simplest level one can have conditional branches that take input from the learner and other data sources to branch the course and provide routes and feedback to the learner (and teacher). Beyond this rule-sets and algorithms can be used to provide much more sophisticated systems that present, screen-by-screen, the content of the learning experience. There are many ways in which adaptive learning can be executed. See this paper from Jim Thompson on Types on Adaptive Learning. In adaptive learning systems, the software acts as a sort of satnav, in that it knows who you are, what you know, what you don’t know, where you’re having difficulty and a host of data about other, useful learner-specific variables. These variables can be used by the software, learner or teacher to improve the learning journey. One can look at specific learning experiences components in a course, such as video, use of forums, specific assessment items and so on. Peter Kese of Viidea is an expert in the analytics from recorded lectures and his results are fascinating. Gathering data from recorded lectures improves lectures, as one can spot the points at which attention drops and where key images, points and slides raise attention and keep the learners engaged. When Andrew Ng, the founder of Coursera, looked at the data from his ‘Machine Learning’ MOOC, he noticed that around 2000 students had all given the same wrong answer – they had inverted two algebraic equations. What was wrong, of course, was the question. This is a simple example of an anomaly in a relatively small but complete data set that can be used to improve a course. The next stage is to look for weaknesses in the course in a more systematic way using algorithms designed to look specifically for repeatedly failed test items. At this level we can pinpoint learner disengagement, weak and even erroneous test items, leading to course improvement. At a more sophisticated level, in a networked learning solution where the learning experiences are presented to the learner based on algorithms, screen-by-screen, items can be promoted or demoted within the network. MOOCs, in particular, have raised the stakes in data-driven design and delivery of courses. In truth, less data is gathered about learners than one would imagine by the likes of Coursera and Udacity but MOOC mania has accelerated the interest in data-driven reflection. The University of Edinburgh have produced a data-heavy report on their six 2013 Coursera MOOCs taken by over 300,000 learners. The report has good data, tries to separate out active learners from window shoppers and not short on surprises. It’s a rich resource and a follow up report is promised. This is in the true spirit of Higher Education – open, transparent and looking to innovate and improve. Rather than summarise the report, I’ve plucked out the Top Ten surprises, that point towards the future development of MOOCs. If I were looking at MOOCs, I’d pour over this data carefully. That, combined with the useful information on resources expended by the University, is an invaluable business planning tool. Lori Breslow, Director of MIT Teaching and Learning Laboratory has looked at data generated by MOOC users provide clues on how to design the future of learning using massive data from “Circuits and Electronics” (6.002x), edX’s MOOC, launched in March 2012 which includes IP addresses of 155,000 enrolled students, clickstream data on each of the 230 million interactions students had with platform, scores on homework assignments, labs, and exams, 96,000 individual posts on a discussion forum and an end-of-course survey to which over 7,000 students responded. At this organizational level, it is vital that institutions gather data that is much more fine-grained than just assessment scores and numbers of students who leave. Many institutions, arguably most have problems with drop-outs, either across the institution or on specific courses. One way to tackle this issue is to gather data to identify deep root causes, as well as spot points at which interventions can be planned. Perhaps we should be a bit realistic about the word ‘big’ in an educational context, as it is unlikely that many, other than a few large multinational, private companies will have the truly ‘big’ data. Skillsoft, Blackboard, Laureate and others may be able to muster massive data sets, but a typical school, college or university may not. The MOOC providers, such as Coursera and Udacity are another group that have the ability and reach to gather significantly large amounts of data about learners. National data is gathered by Governments and organisations to diagnose problems and successes and reflect on whether policies are working. This is most often input data, such as numbers of students applying for courses and who those students are and so on. Then there’s output data, usually measured in terms of exams and certification. This misses much, in terms of actual improvement and often leads to an obsession with testing that takes attention away from the more useful data about the processes of learning and teaching. Google, Amazon, Wikipedia, YouTube, Facebook and others gather huge amounts of data from users of their services, This data is then used to improve the service. 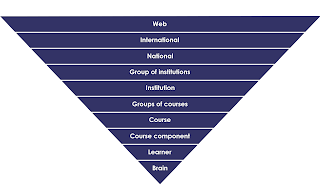 Indeed, I have argued that Google search, Google translate, Wikipedia Amazon and other services now play an important pedagogic role in real learning. There are lessons here for education in terms of the importance of data. One should always be looking to gather data on online learning and Google Analytics is a wonderful tool. Big data is changing learning by providing a sound basis for learners, teachers, managers and policy makers to improve their systems. Too much is hidden so more and more open data is needed. Data must be open. Data must be searchable. Data must also be governed and managed. There is also the issue of visualization. Big data is about decision making by the learner, teacher or at an organizational, national or international level and must be understood through visualization. However, data is also being used to do great harm. Big data in the hands of small minds can be dangerous (see When Big Data goes bad: 6 Epic fails).